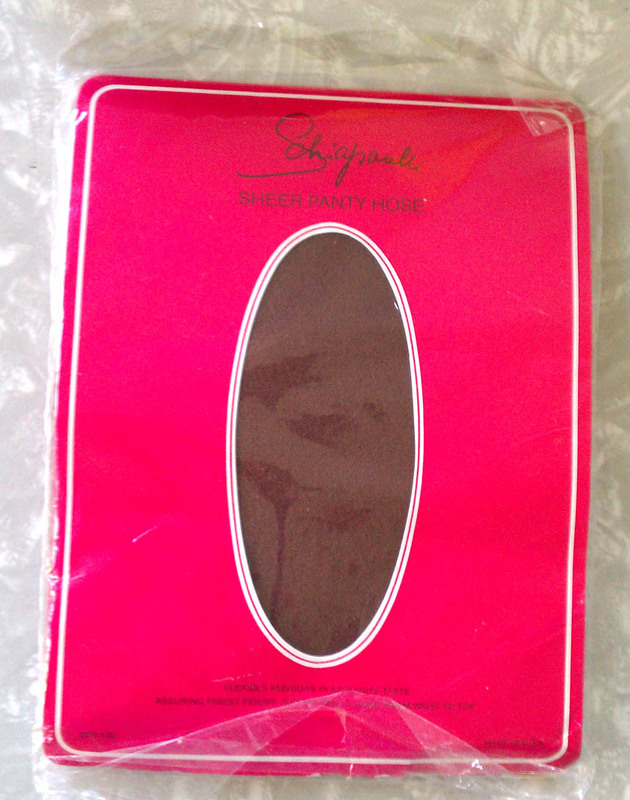 Vintage Schiaparelli Stockings — Shocking! Schiaparelli and Prada: Impossible Conversations, the joint retrospective of fashion opens today at the Costume Institute of the Metropolitan Museum. Actually, one pair isn’t stocking; they’re pantyhose… But still! For those of you who don’t know, Elsa Schiaparelli (1890–1973) was an incredible Italian fashion designer. Her rival was Coco Chanel; she sold to Mae West and the Duchess of Windsor, Wallis Simpson; she created the big-shouldered suit of Marlene Dietrich; she designed costumes for over 30 films (partial list); she collaborated with Man Ray and Salvador Dalí. Whew! 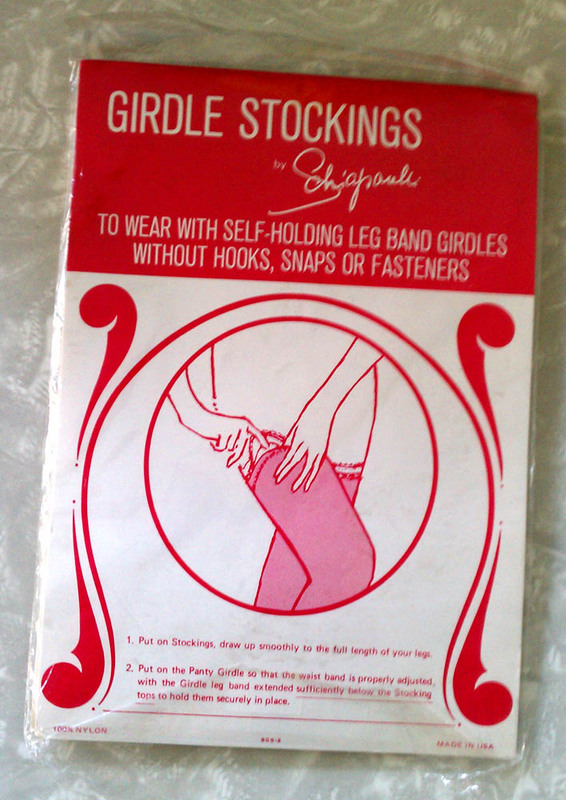 I adore Schiaparelli designs — especially the lingerie, so the stockings would be thrilling and welcome finds anytime, but this was quite a timely find for vintage fashion items. Supp-hose, sheerest, seamless, nylon & Lycra (Spandex) in Calypso, 905, made in USA. 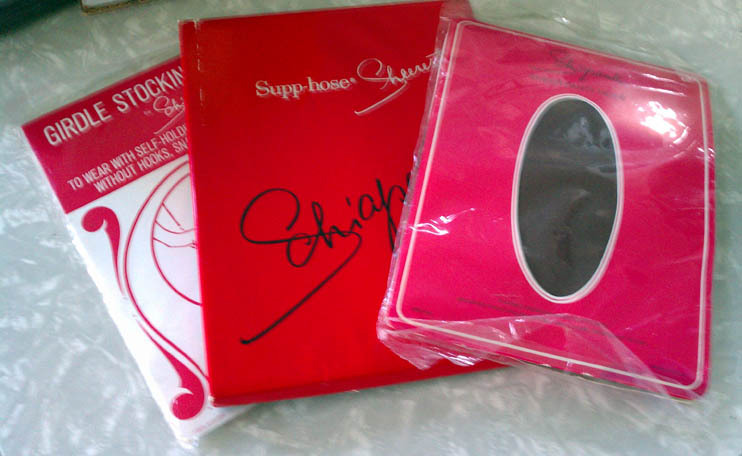 One unworn pair of stockings, with Schiaparelli signature script in shocking pink, in the box, with black paper (glossy on one side), pink tissue paper, and original care/instructions insert. 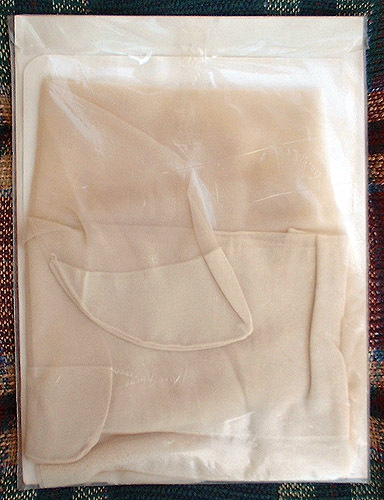 Sheer Agilon pantyhose in Coffee Bean, style 199. Package is still sealed. 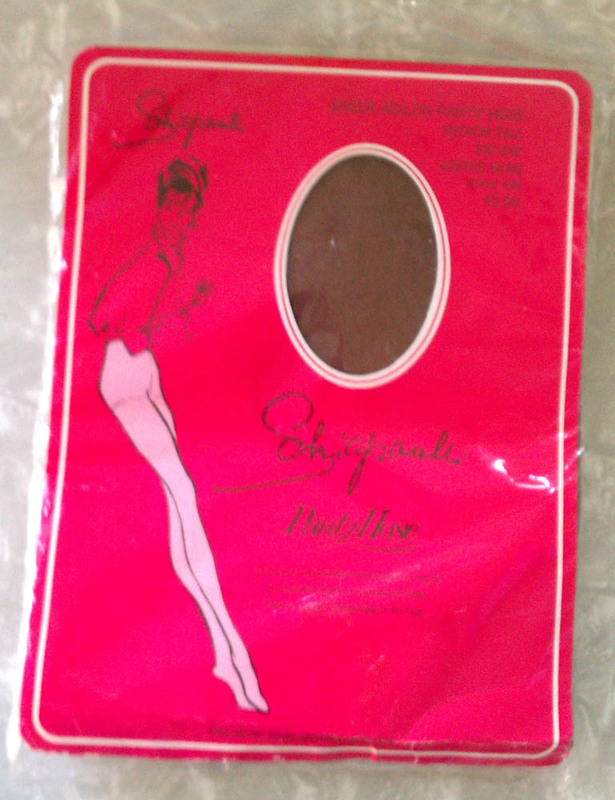 And last, but not least, Girdle Stockings by Schiaparelli. “To wear with self-holding leg band girdles without hooks, snaps or fasteners.” (Also in Coffee Bean, #889; 100% nylon, made in USA.) Still sealed in the original wrapped package — I just love the die-cut window. While the Schiaparelli hosiery I found aren’t as stunning as these bouquet stockings, I’m still happy with the “Shocking” delight of finding them. See also: Judith Thurman’s piece on the fashion retrospective. 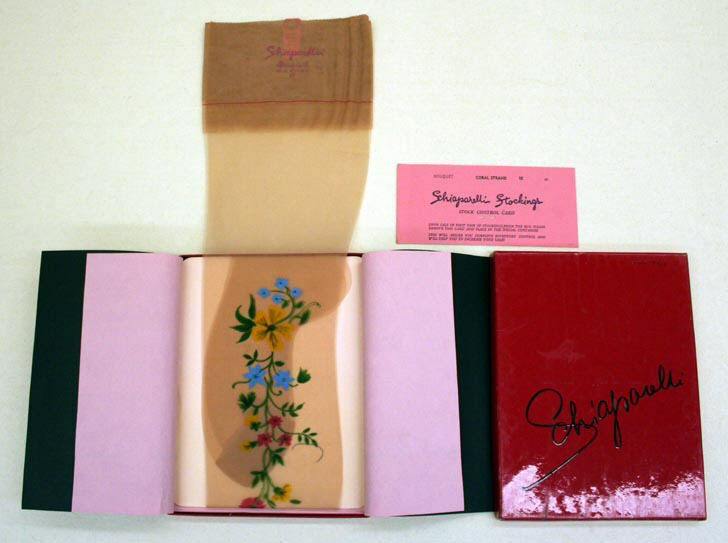 Posted on May 10, 2012 June 19, 2012 Author DeannaCategories FashionTags collectibles, Elsa Schiaparelli, events, hosiery, lingerie, museums, news, stockings, vintage2 Comments on Vintage Schiaparelli Stockings — Shocking! Pick: I suppose it is time. 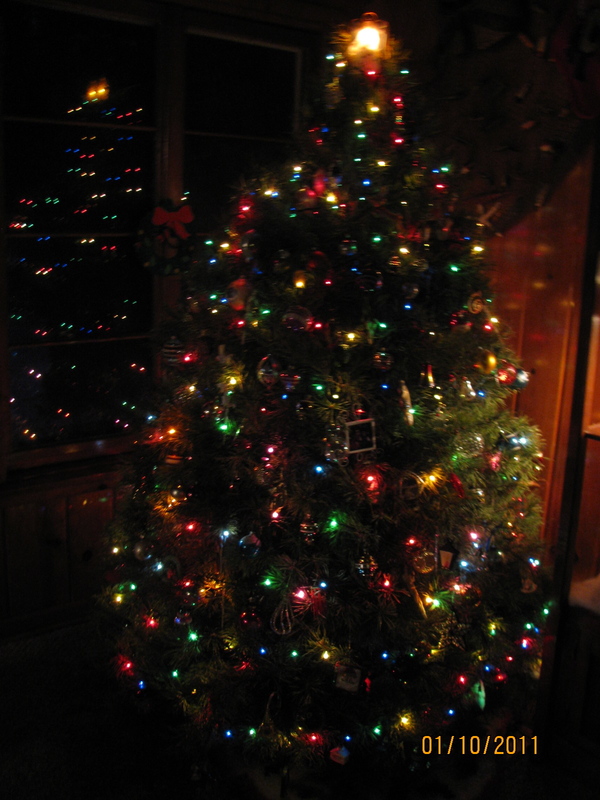 Time to take down the tree, put all the ornaments in their boxes, until next year. We are the only ones in our ‘group’ who have a live tree. When the kids were small, we’d work on putting it up for a few days. You’d do the lights, the girls would put the ‘unbreakables’ near the bottom and I’d do the top part. Grin: I remember a few of the early years when our trees were SO crooked that we’d have to wire them to the window hardware. Otherwise, they’d tip over. We got numerous comments , none of them good. Grin: And then there is the concern of the ornaments. The ones from your grandmother, for example. 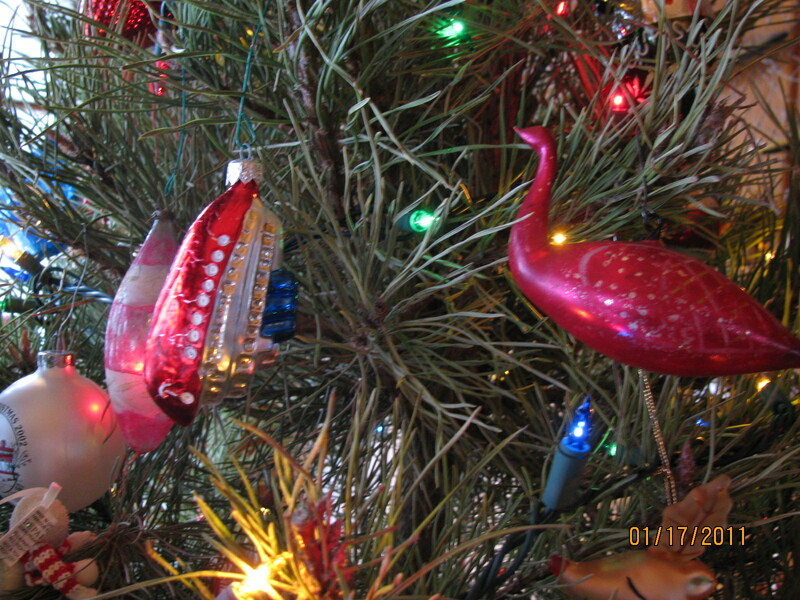 If you left them on the tree, you would worry until next year if one would be broken when moved around. So, since we have to take it all down and wrap them, we’ll keep the live tree. But is there any way we can eliminate some of those ornaments? Pick: Each time I pack and unpack I have fond memories. I remember putting that exact angel on our tree-top at home. She has withstood the test of time. And the bird with the tail-feathers, why, that was my grandmother’s and there is precious little from her. Grin: That is understandable – you’ll always want to keep that one. 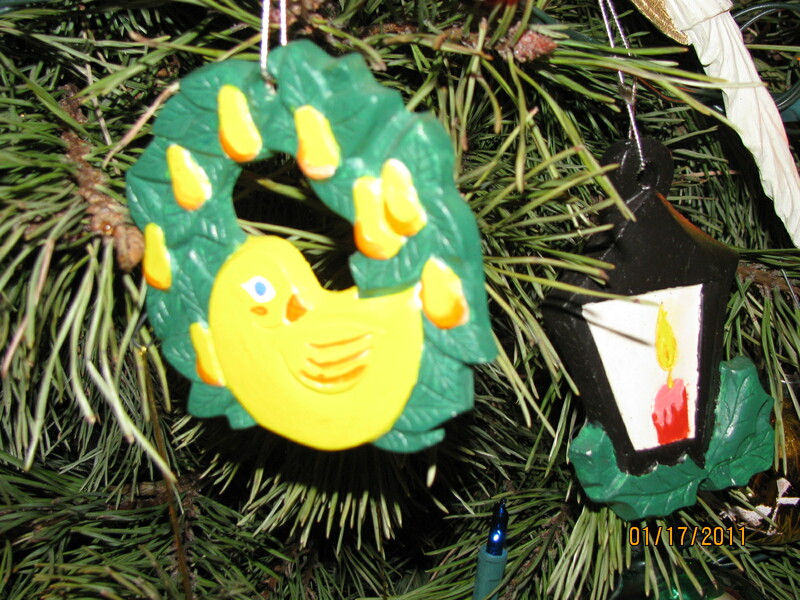 But what about these poorly-painted ceramic ornaments.? They are a bit tacky on your classy tree. And we have so many to pack away. Pick: But don’t you remember these? We made them with the kids when they were about 8 or 9 years old! They are very special to me. Grin: OK then, but these plastic ones can go. They are out of date and very cheap too! 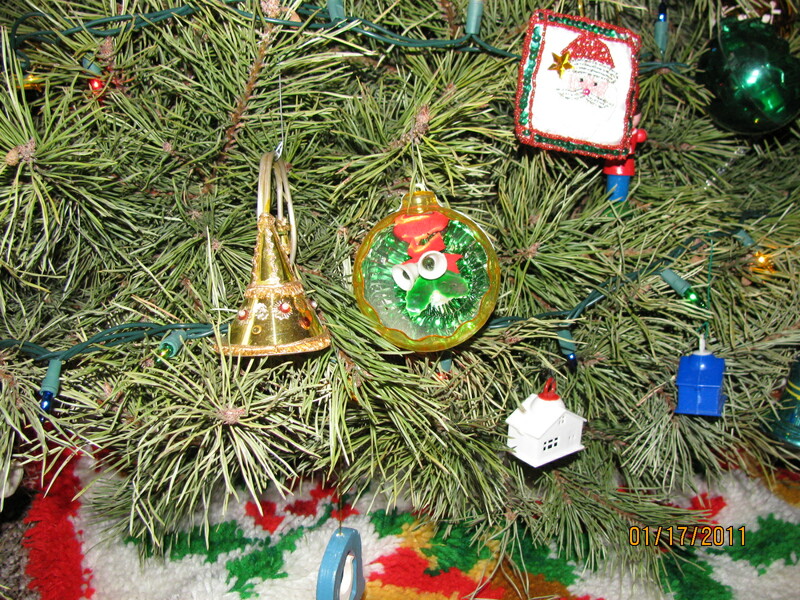 Pick: Now wait a minute – those are the bottom-of-the-tree ornaments. Nicholas, our youngest grandson can still come over and touch things. You know how I want to be a ‘fun grandma.’ And then if our Westie knocks one off when he strolls past, who cares? You need the lesser ones near the bottom. Grin: Sounds like you have rationale for every one on this tree. But then, I am not surprised. It is the same with your year-round decorations. Everything has a special memory, or makes you smile to recall where you found it or who gave it to you. Someday, the house will just sink slowly into the ground. Pick: You exaggerate – there is still room in the basement for a few things and the attic has a bit of room. Grin: Dear, if you started collecting toothpicks, we’d be in trouble. But let’s get back to the tree. Pick: It will look so darn empty in this room when it is gone. Can you put up an Easter Tree? 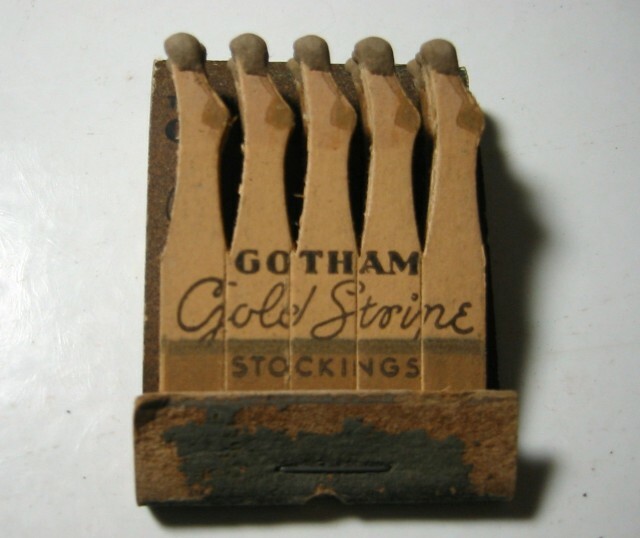 I’d love to add this vintage Gotham Gold Stripe stockings matchbook (circa 1930s) to my meager matchbook and advertising collection — the little stocking-covered leg matches would be nice sitting next to my lipstick matches, right? 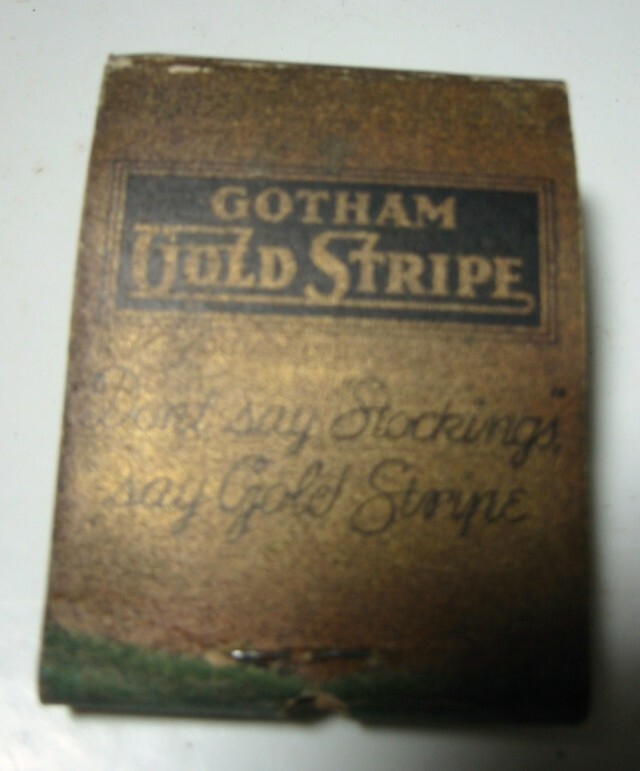 Vintage Gotham Gold Stripe matchbook photos via rcktmn714 . 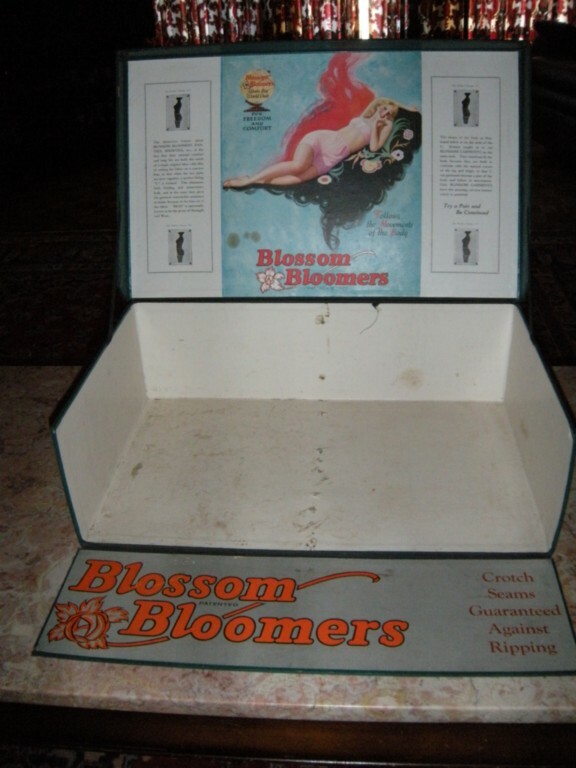 Posted on January 22, 2011 Author DeannaCategories The Hobby Of CollectingTags advertising, collectibles, collecting, ephemera, matchbooks, stockings, vintage1 Comment on Talk About Hot Legs! 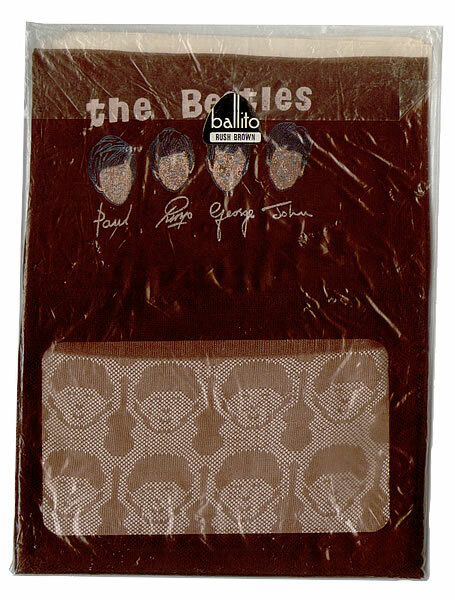 This pair of vintage Beatles stockings was made in England by Ballito Mills for Scott-Centenaire Ltd.; the packaging features the face and signatures of the Fab Four. 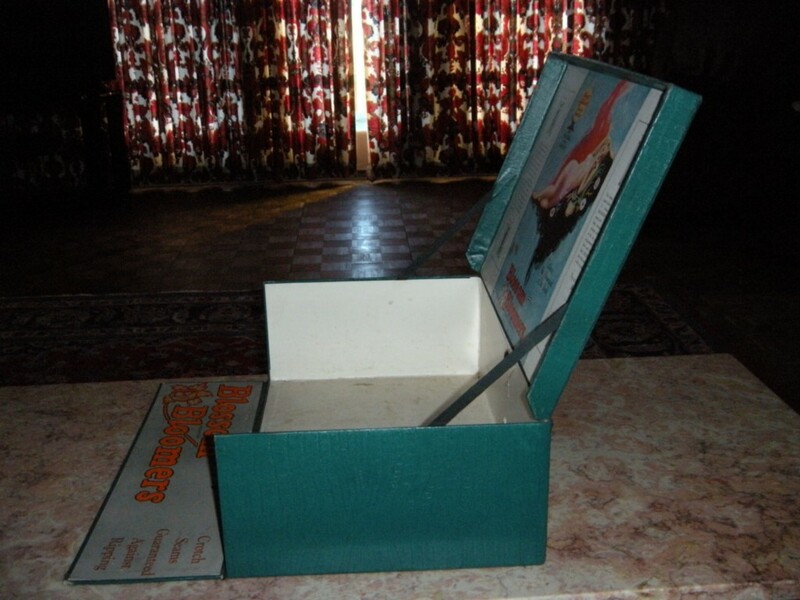 The individual stockings were packed in pairs, but they also were packaged in standard blue Ballito boxes. 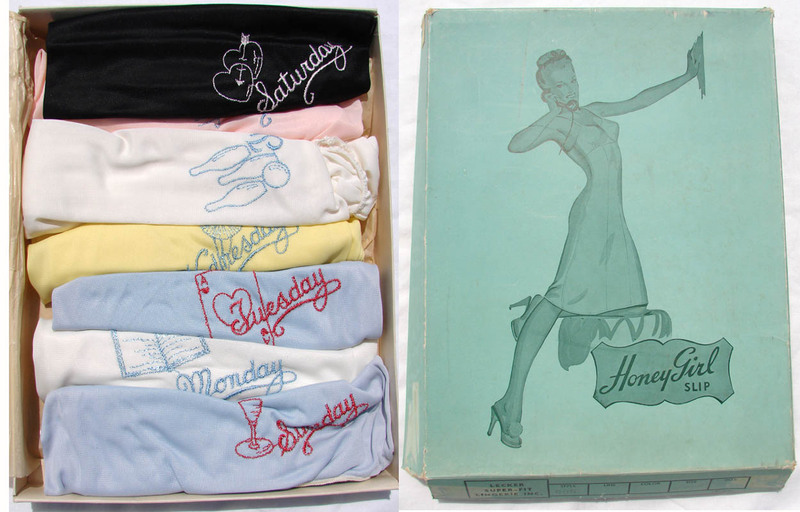 Beatles nylon stockings may be rare, but there were many variations in packaging, stocking design, and even makers. 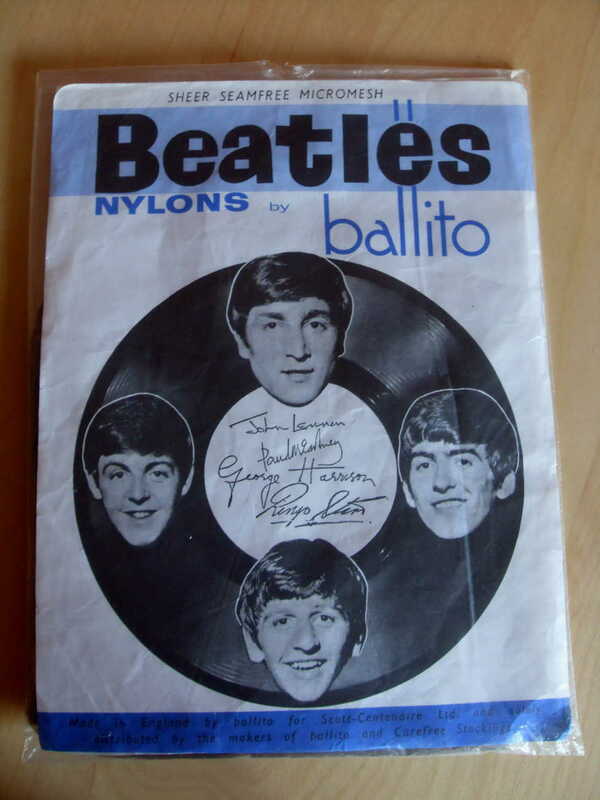 Ballito Mills alone had multiple varies in packaging and stocking design; this pair features Fab Four and a 45 RPM record on the packaging and the nylon stockings themselves have the Fab Four on the welt. The faces are printed in blue, pink and white above each band member’s signature. The faces are repeated as a pattern woven through the legs of both stockings. 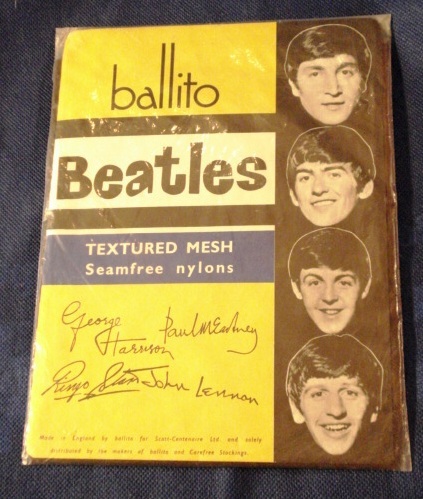 This pair of Ballito stockings dates to 1964 features not only The Beatles on the welt, but the textured mesh nylon stockings have a clearly repeated design of faces and guitars. Unlike the vintage UK “Carefree” and “Ballito” Beatles Nylons these do not have any decorations or Beatles imagery in the stockings themselves. There are no identifying marks on the stockings. 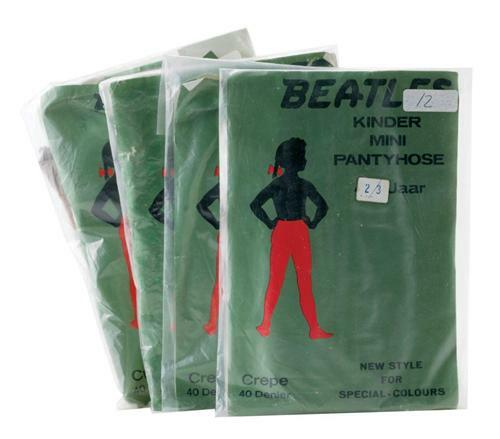 While the above seem clearly to be licensed products, these four 1960s packages “Kinder Mini Hose” of pantyhose for children, appear to be unlicensed. I wonder how many kids were disappointed in those stockings? 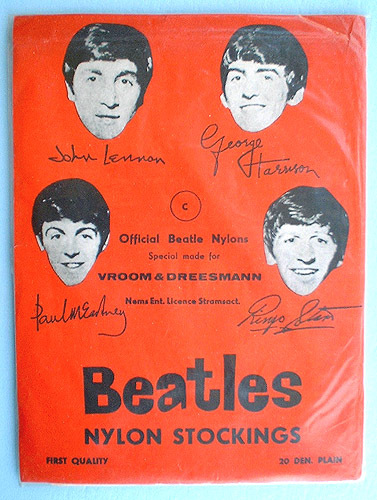 And I wonder how many more vintage Beatles stocking styles and manufacturers were made — and still out there for collectors to find! 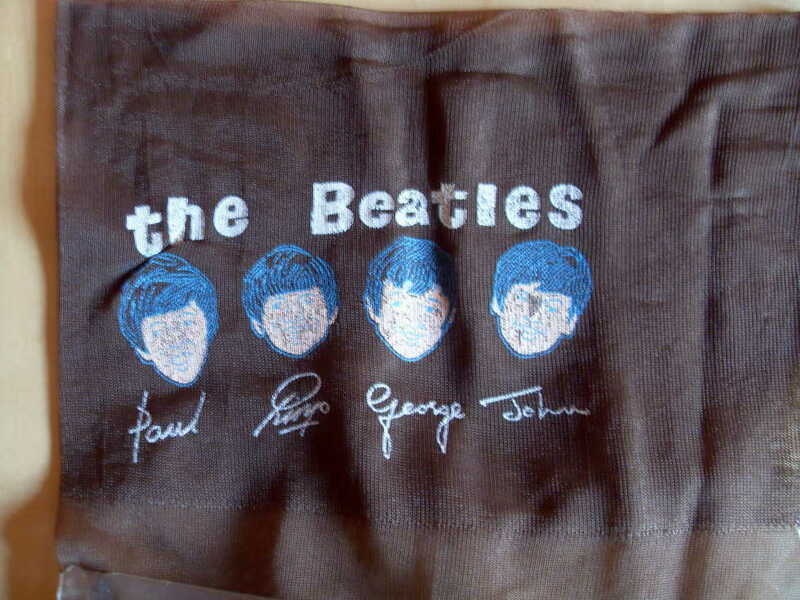 Vintage Ballito Beatles stockings from sg4beatles . 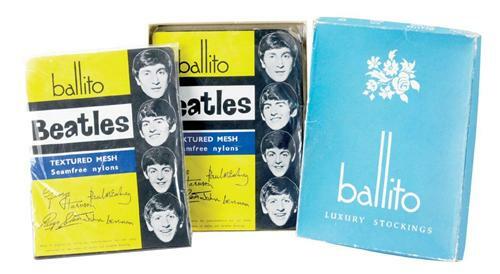 Image of two pairs of Ballito Beatles stockings with Ballito box via iCollector. 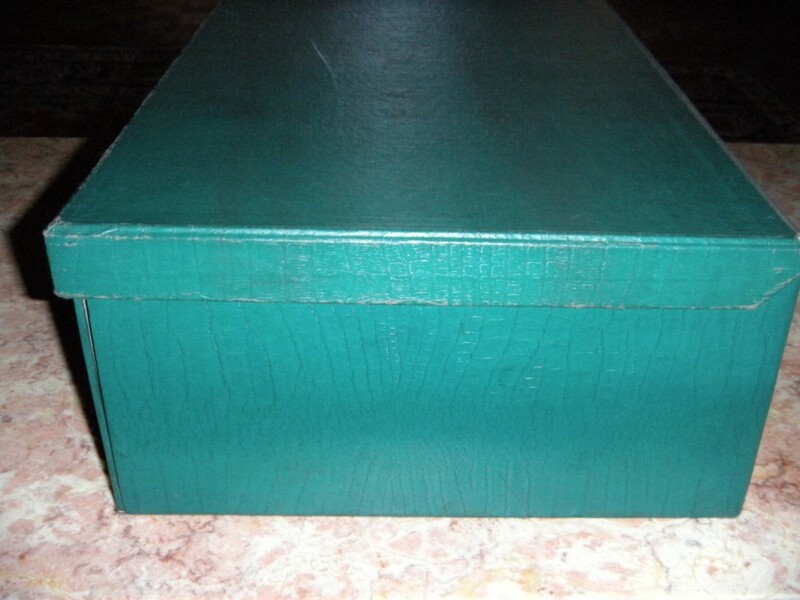 Ballito package with record and photo of stocking welt from 20th Century Collectibles. Vintage Beatles textured patterned Ballito stockings from 991. The vintage Vroom and Dreesmann Beatles stockings photos via haze54. Kinder Mini Hose photo via iCollector. While stockings and hose either unworn or still in their vintage boxes can be pricey, the large bags of worn stockings can be quite cheap — and they can be of great use in recycling for the creative. 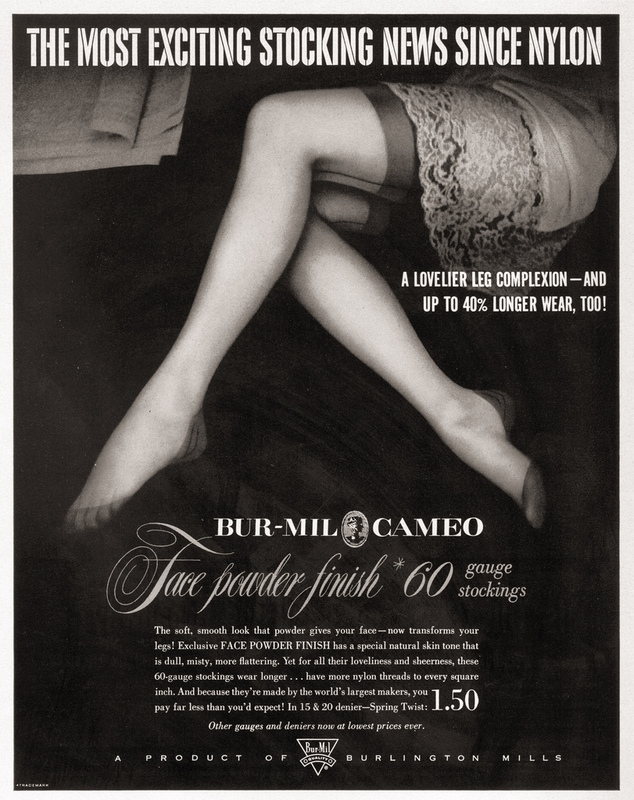 I know this can seem rather “Eeeiiiww!” to some, but the re-purposing of stockings and hosiery has a long history. 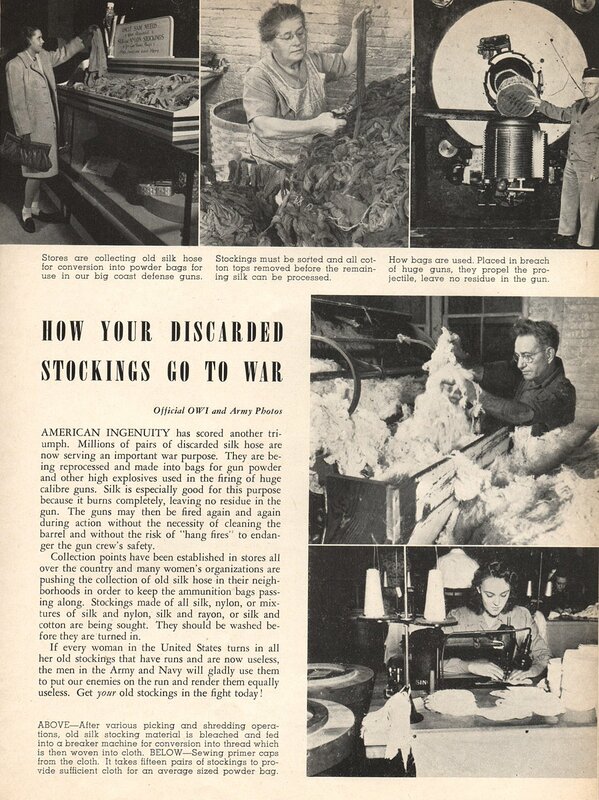 During WWII nylon stockings were recycled for the war effort. 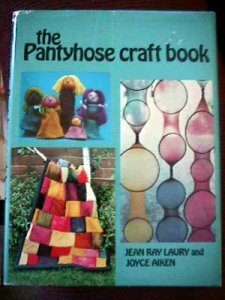 And the resurgence of the re-use of hosiery was also a huge arts & crafts recycling fad in the 70’s. So why not grab a bag full of vintage stockings and hose and put it to good use? First I recommend going through the bag, hand washing the stockings. As you so so, evaluate them for possible pairings, stockings in your size, stockings completely unwearable, etc. Of those which are too damaged to wear, assess them for possible craft projects and re-purposing ideas, like nylon corsages, hanging plant holders, and even rugs. If the stockings are in very poor shape, use them as stuffing material for sewing projects. Why buy foam pads or bags of poly-filler when you can re-use old hose? Sometimes worn vintage stockings are just tossed away by the people running estate sales — but if you are interested in recycling vintage hosiery, let your local dealers, estate sale organizers — even local thrift shop managers — know of your interest. They may just save them for you, often letting you name your price because they would toss them otherwise. PS If you ever get to the historic Hingham Shipyard, check out my contribution to the wartime homefront exhibit! Let’s say you love vintage stockings, so at an estate sale you buy a bag full of them — only to get home and have no idea what sizes you have. 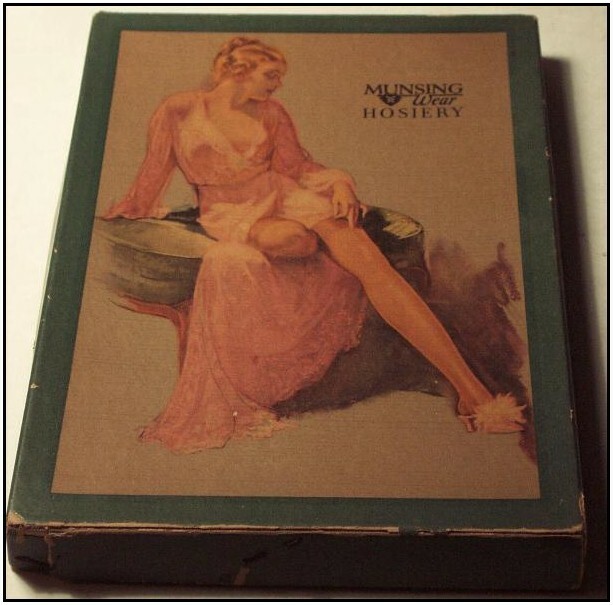 Vintage stockings, original non-stretching nylon stockings, are sold by two measurements: foot size and leg length. But what if the stocking’s size markings, usually printed on the stocking welt (the top, where you attach the garters), aren’t legible or missing entirely? Well then you are going to have to measure the stockings themselves to determine their size. Then, as today, there are variations in sizing by stocking brand — and sometimes within the same brand. 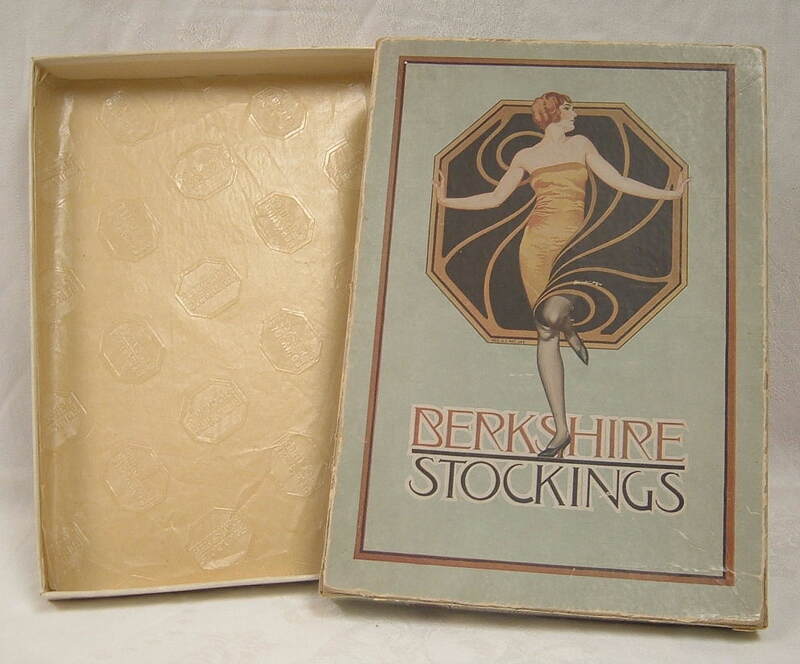 The top brand names tend to be more consistent in their sizing (Hanes & Berkshire, for example, tend to be incredibly consistent), but even specific brand consistency may vary greatly from the sizing of other brands (stockings by Alberts, including the sub-brand of Araline, for example, measure an extra half inch in the foot and an extra inch longer in length too). Since worn stockings will be a little larger (even freshly laundered ones), than unworn stockings, these sizing measurements work for unworn vintage stockings. However generalized these sizing measurement tips are, you can get a pretty good idea of fit — especially if you compare the measurements to the measurements of your favorite fitting pair of worn vintage stockings! In order to best measure the stocking, I recommend beginning by securing a tape measure to a table top, taping it down just like at the counters in fabric departments, so that you have both hands free to handle the stocking. If you don’t have a measuring tape, get one; they’re cheap and you’ll use them over and over again. (I suggest you carry a tape measure with you when you visit estate sales, thrift stores, flea markets, etc. too — you can always ask for a literal hand with measuring!) Or, you can tape paper the length of the table, mark off your dimensions, and measure them later. Once you have the measuring tape securely in place, you’re ready to get your measures. Since true stocking size is always determined by the foot measurement, we’ll begin there. The industry standard for measuring the foot of a stocking is to measure from the tip of the toe to mid heel, however, most people are more comfortable defining the end of the heel rather than making a guesstimate of the middle of the heel, so I’ll be discussing measurements from the tip of the toe to the end of the heel. That said, that’s what you do. Place the tip of the stocking toe at the top of your measuring tape and, holding it firmly in place, extend the stocking foot taut along the length of the tape measure. As you extend the stocking’s foot, keep it pulled taut — not stretched; apply just enough tension to remove the folds and wrinkles in the nylon. Measure the distance between the tip of the stocking’s toe to the end of the heel (the darker, reinforced area). 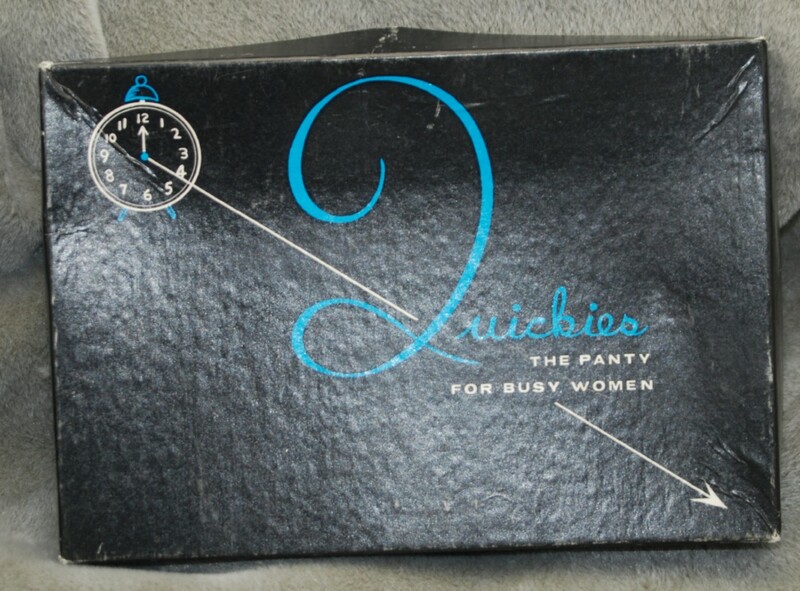 Just as with shoe sizes, a measurement of 10 inches does not equal a size 10 stocking — well, not quite, anyway. If your measurement was taken from the tip of the toe to mid-heel, then the number of inches does indeed give you the stocking’s foot size. 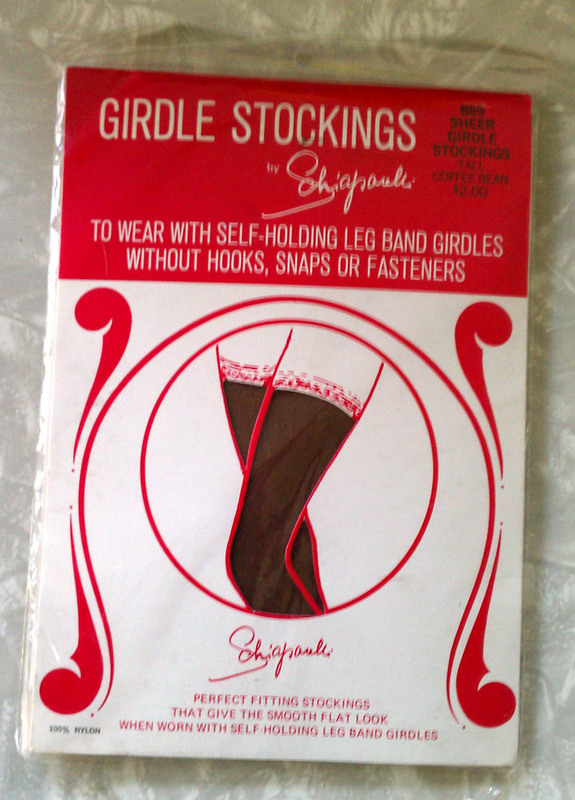 (So if you’re comfortable with assessing the middle of a stocking’s heel, go for it!) But if you’ve measured the stocking from the tip of the toe to the end of the heel it’s still easy to get the size: subtract either ½ or ¾ an inch to obtain the true stocking size. To get stocking length, measure from the bottom of the heel to the top of the welt, using the tips above. The measurement you get is the size; no math necessary.